Acupuncture may be used for the treatment of muscul-skeletal conditions, respiratory, gastrointestinal, cardiovascular, gynaecological and some neurological and psychological disorders. Also used to assist with fertiltiy. 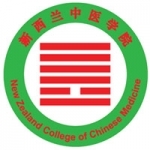 With nearly 600 members throughout the country, the New Zealand Register of Acupuncturists (NZRA) (also known as Acupuncture NZ)) is the largest professional . . .
30 minute consultations, sports & spinal injuries, sports massage, pre & post operative rehabilitation, acupuncture, in-house gym. . . .
Marina Physio is a Physiotherapy clinic providing injury management and treatment at the Half Moon Bay Marina. The clinic is staffed by Physiotherapists . . .
Quality Spinal Care. Highly skilled manual adjusting techniques. Evidence informed treatment schedules. Chiropractor: Cameron Finlayson . . . 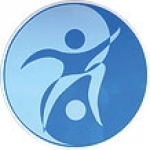 Manipulative and sports physiotherapy, sports medicine, acupuncture, prehap/rehab programmes, occupational medicine, Work site assessments, ACC Functional . . .
Have you had enough of painful treatments and recurrent symptoms? Treat the root cause, not just the symptoms . . .
A Centre of Excellence for Chinese Medicine Training & Treatment . . . . Promoting Health & Wellbeing in Everyday Life . . . .
Takapuna Hand Therapy is a specialist hand and upper limb physiotherapy practice. This practice was opened in April of 2008 by Ellen van Essen &ndash . . .